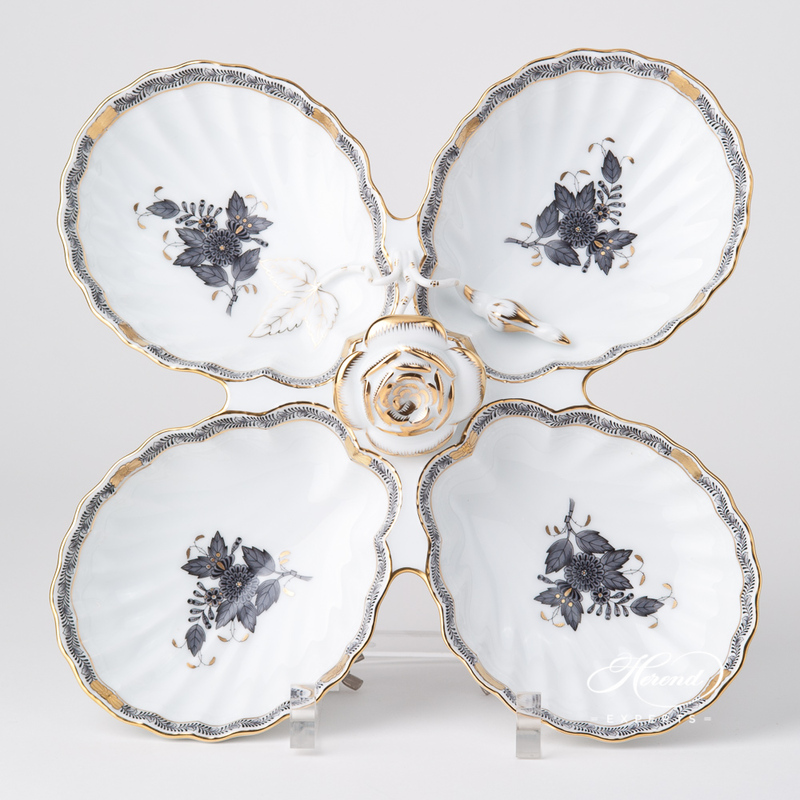 Herend porcelain Fancy Dish w. Rose Handle - Herend Chinese Bouquet Grey / Apponyi Grey ANG design. 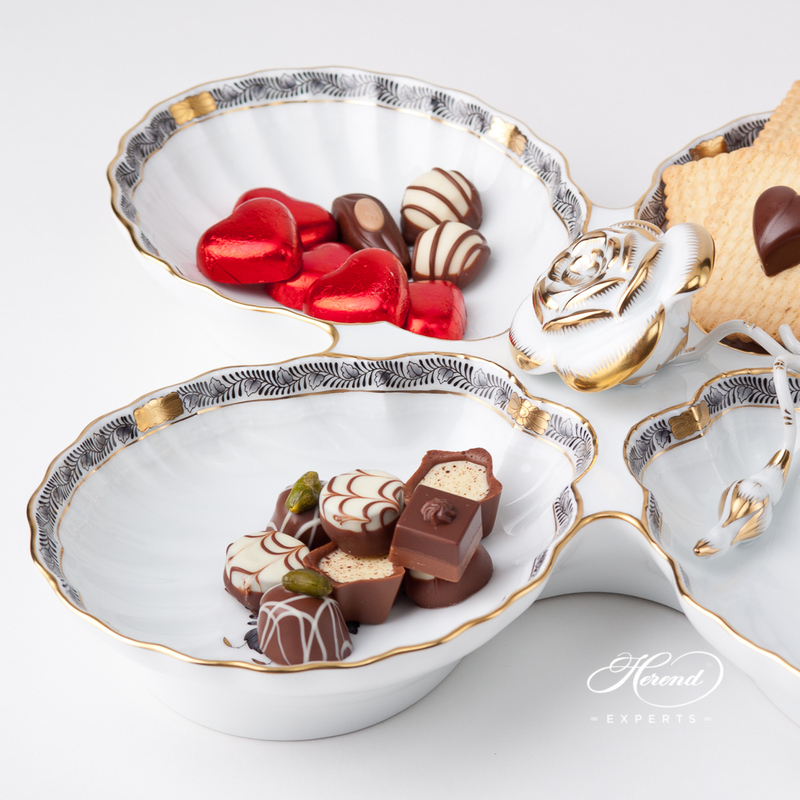 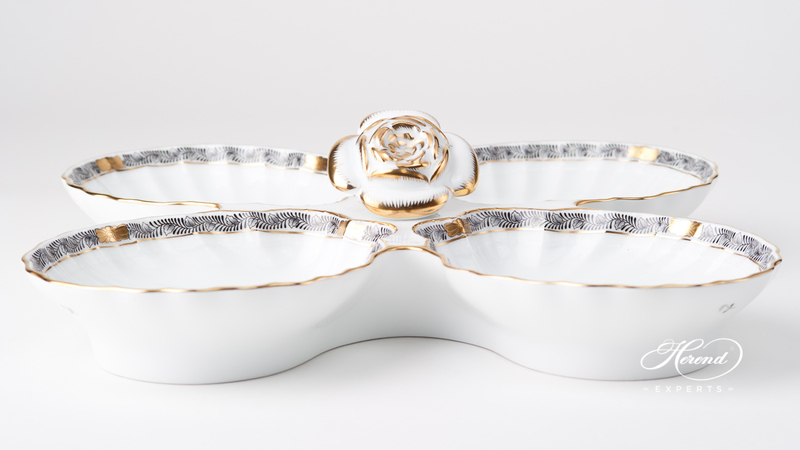 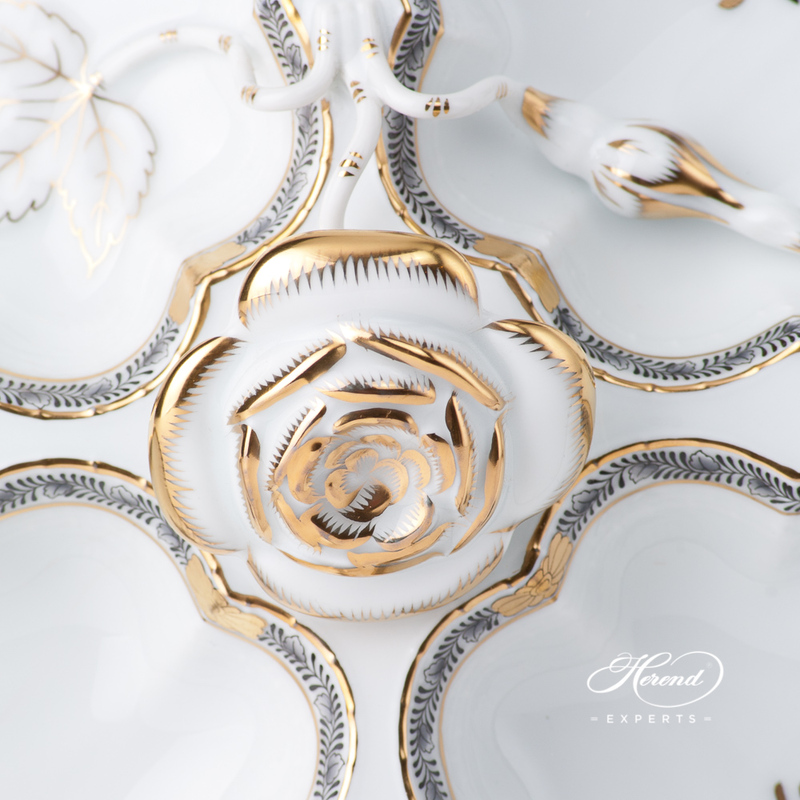 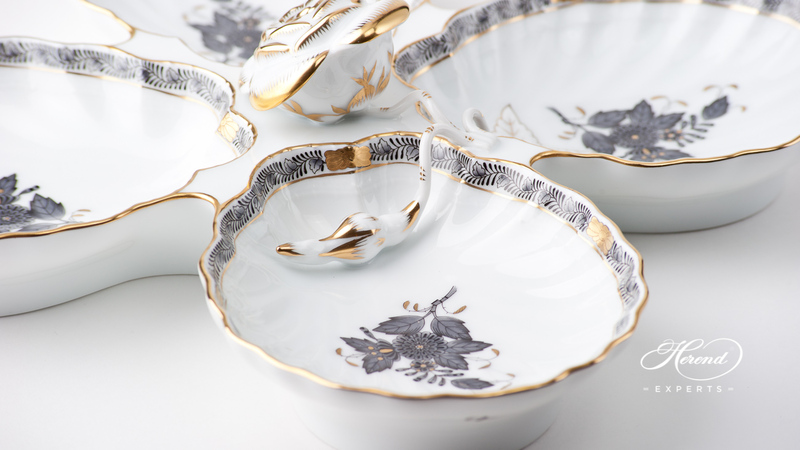 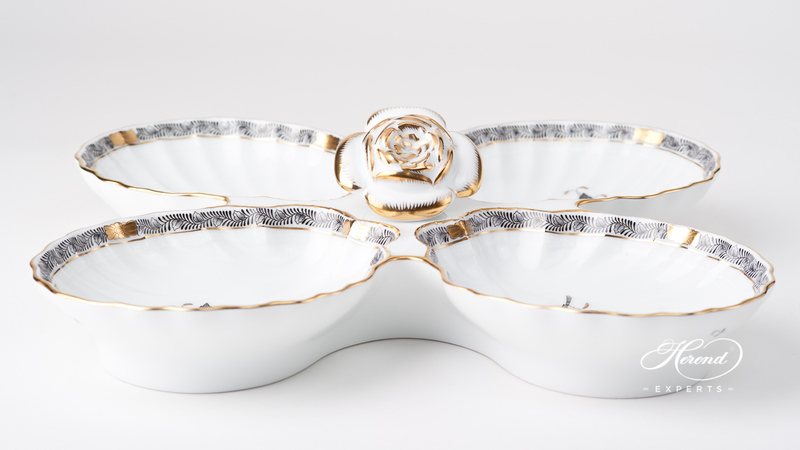 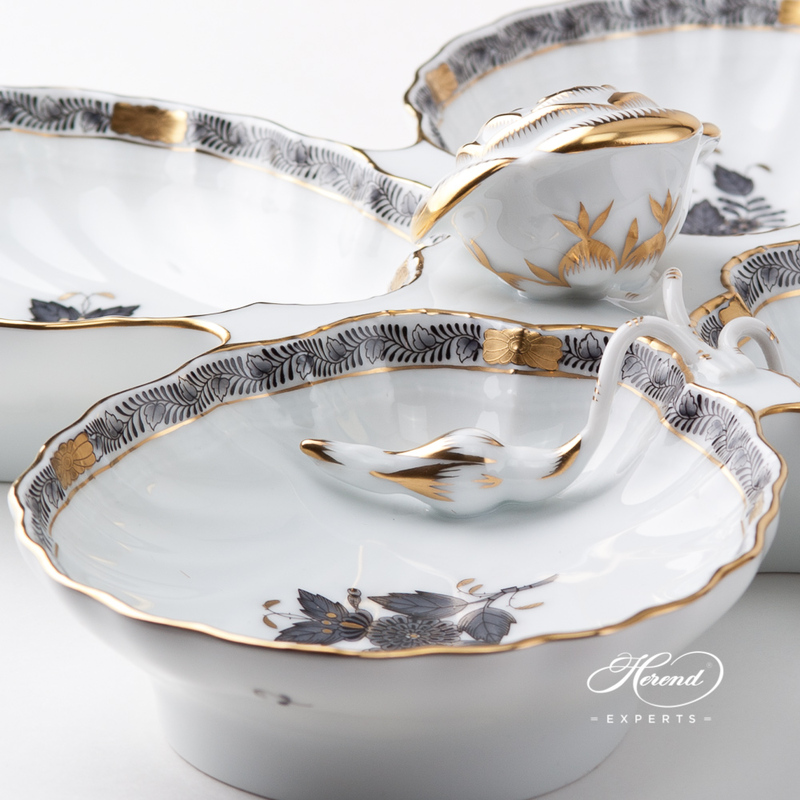 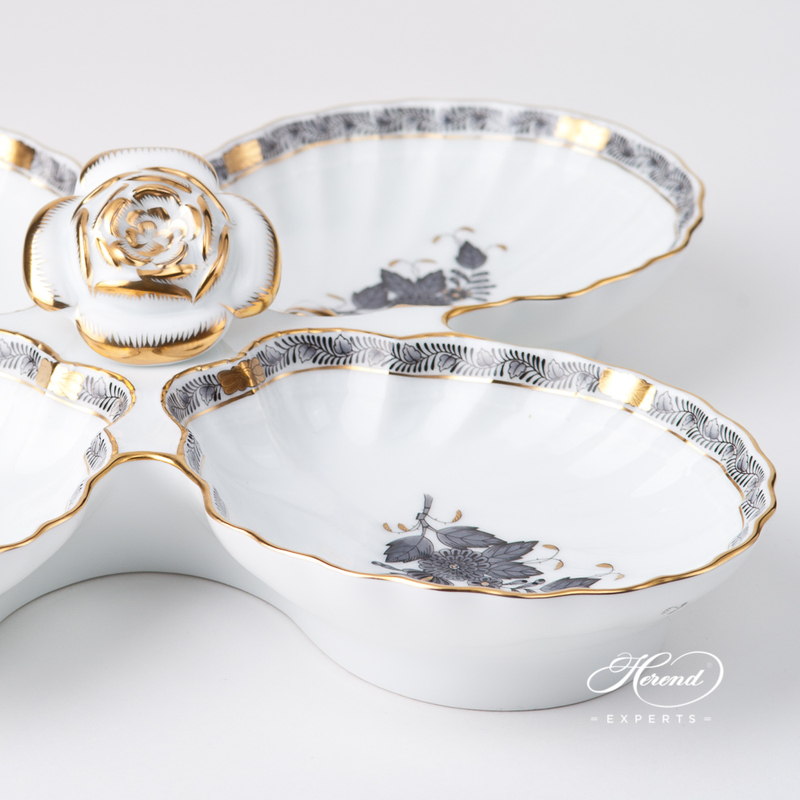 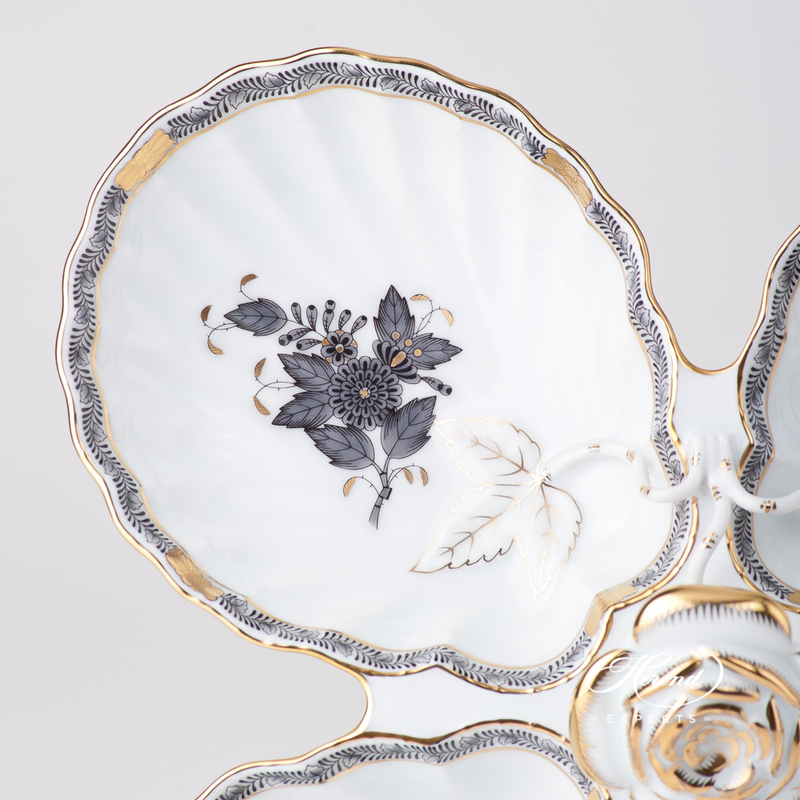 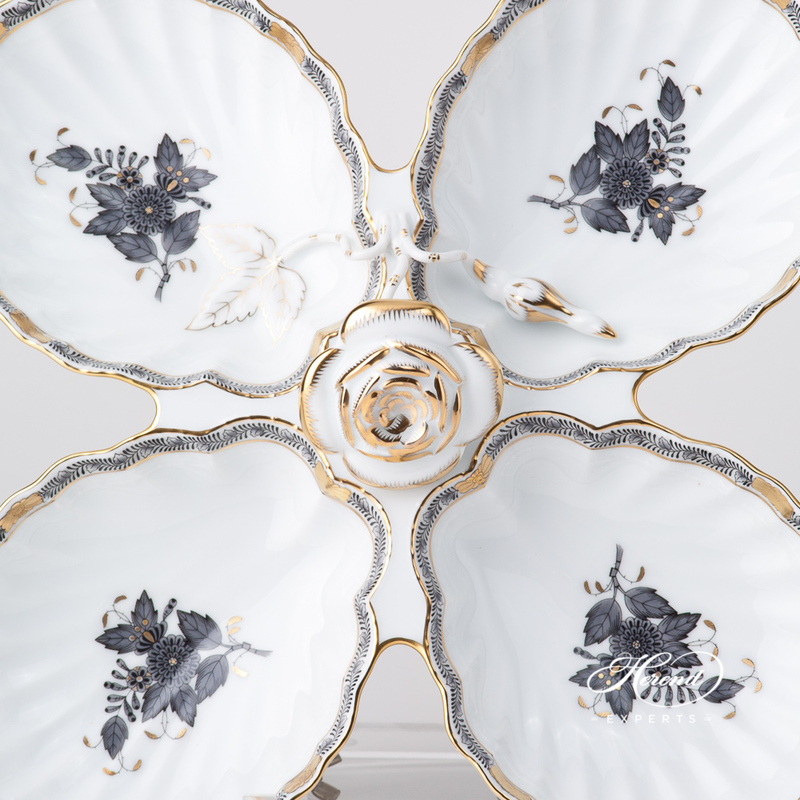 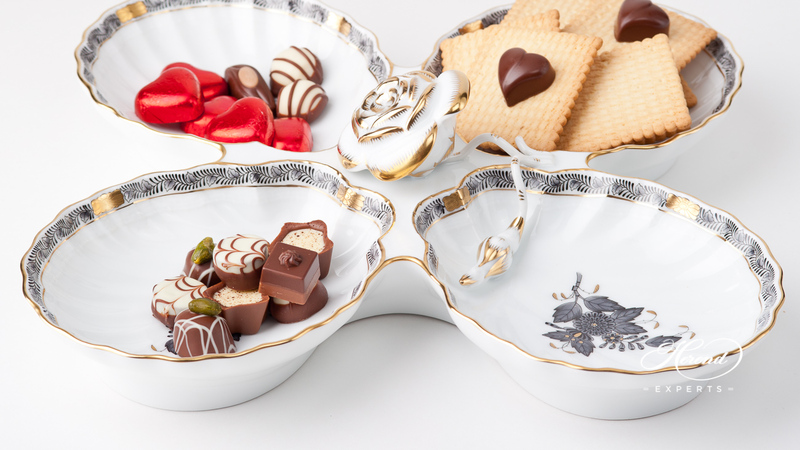 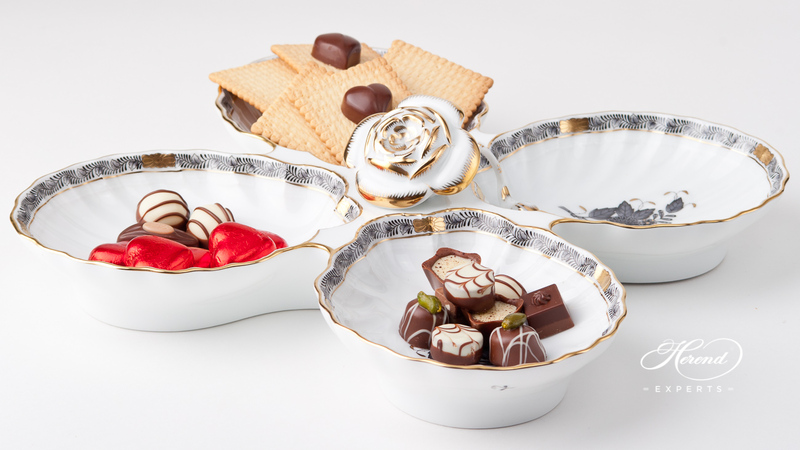 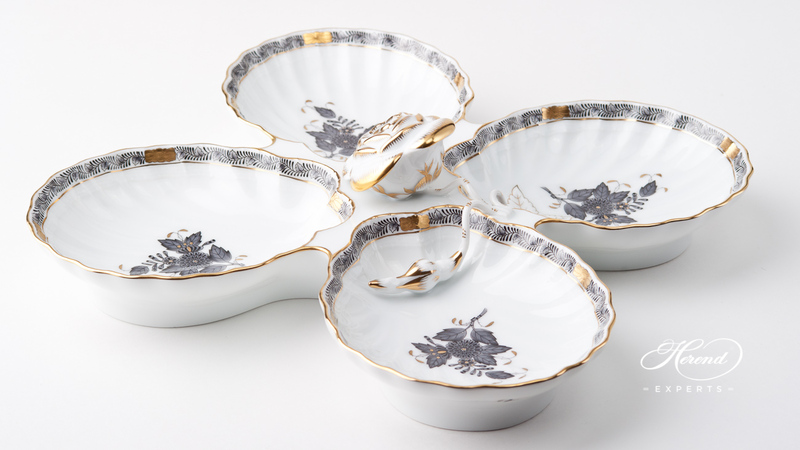 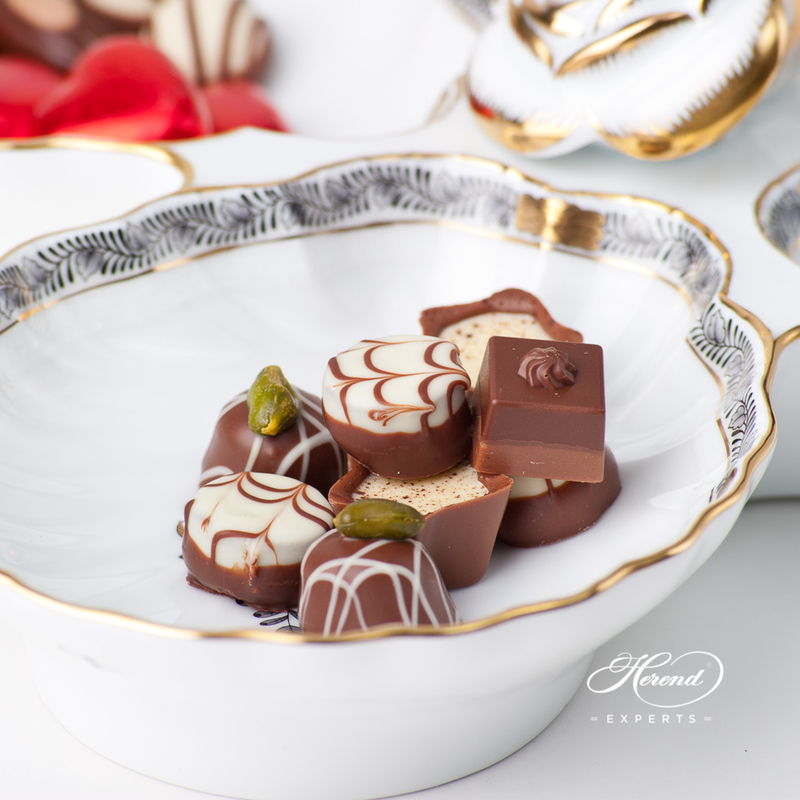 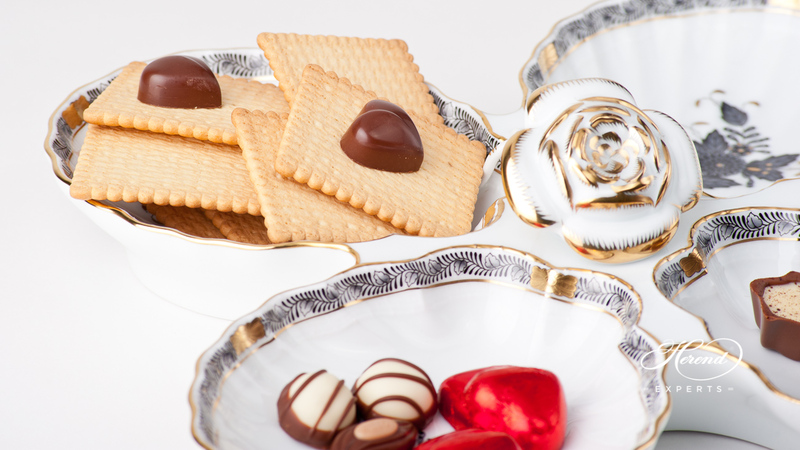 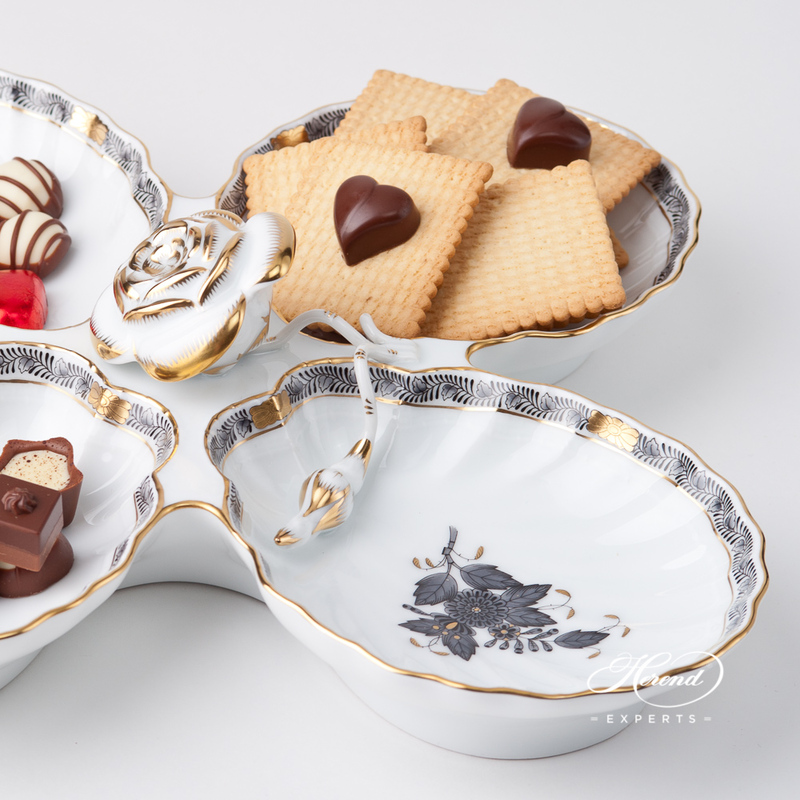 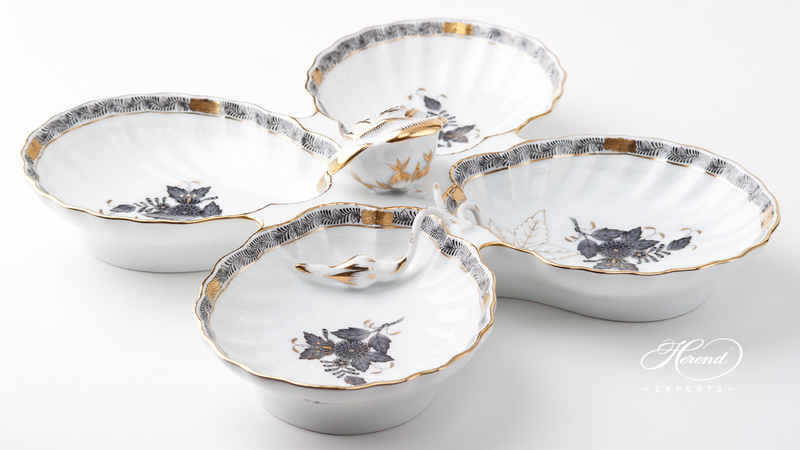 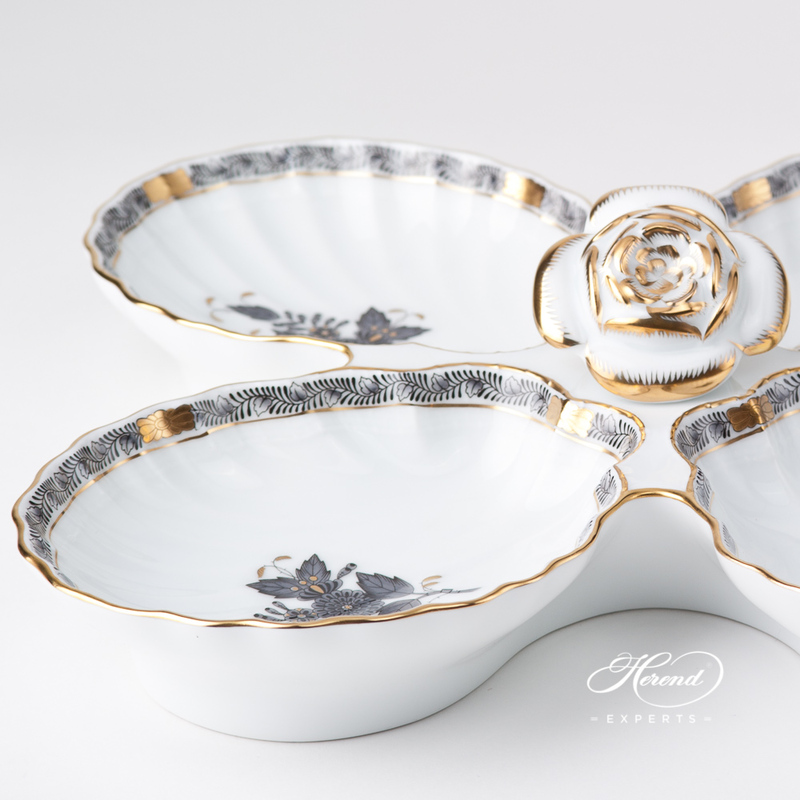 This Fancy Dish is an ideal choice to all Apponyi Tea, Coffee, Espresso and Dinner Sets. 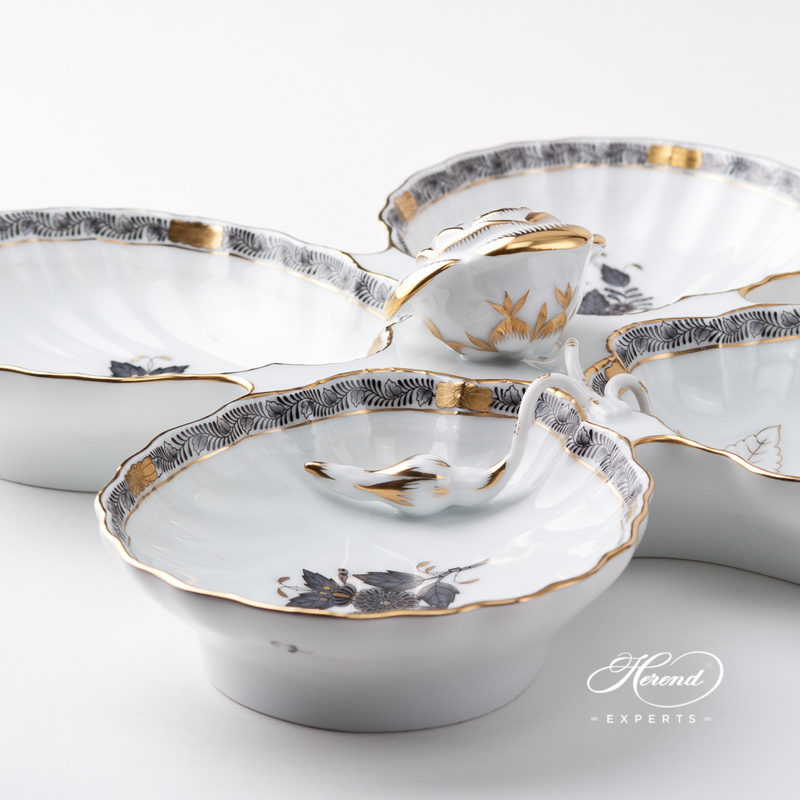 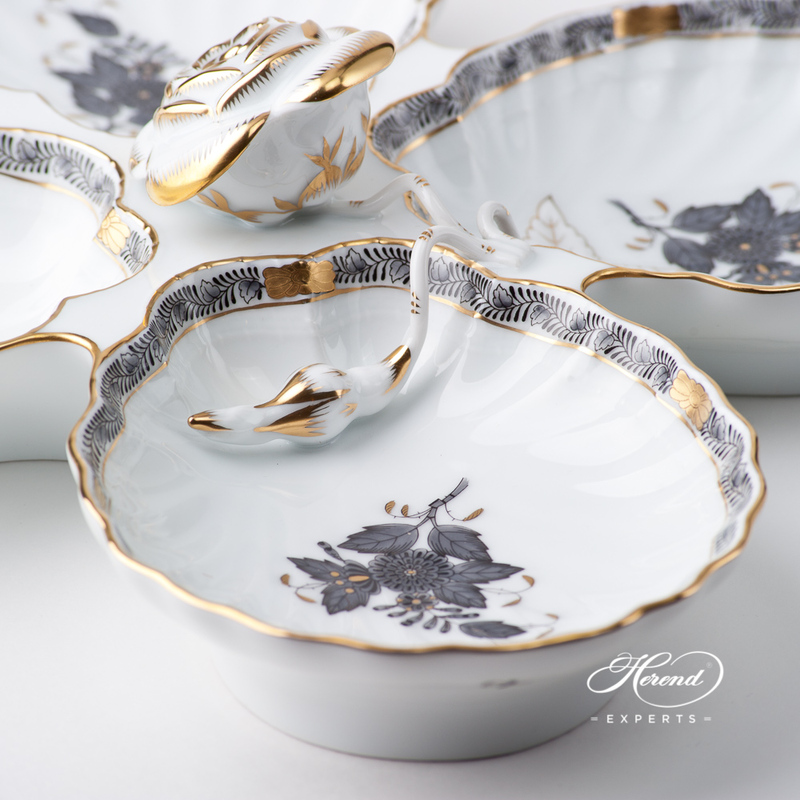 Chinese Bouquet Grey / Apponyi Grey ANG pattern is available in Tea, Coffee, Turkish Coffee, Espresso Sets and Dinner Services as well.